The year is over halfway done and I am choosing to take a month break from all my usual social media spots. Online communities such as Twitter, Instagram, and Facebook aren’t bad things, but I find that I need a little time away from these types of distractions. This doesn’t mean that I won’t be social outside of my digital self. As I prepare for my future, I see this time away as positive motivation to further my venture into endeavors for the rest of the year and beyond. Objects are important to our everyday lives, no matter what their function. Mike Silver, who goes by the alias CFCF, tries to bring music to everyday essentials that we take for granted on his newest and strongest album yet, Music for Objects. 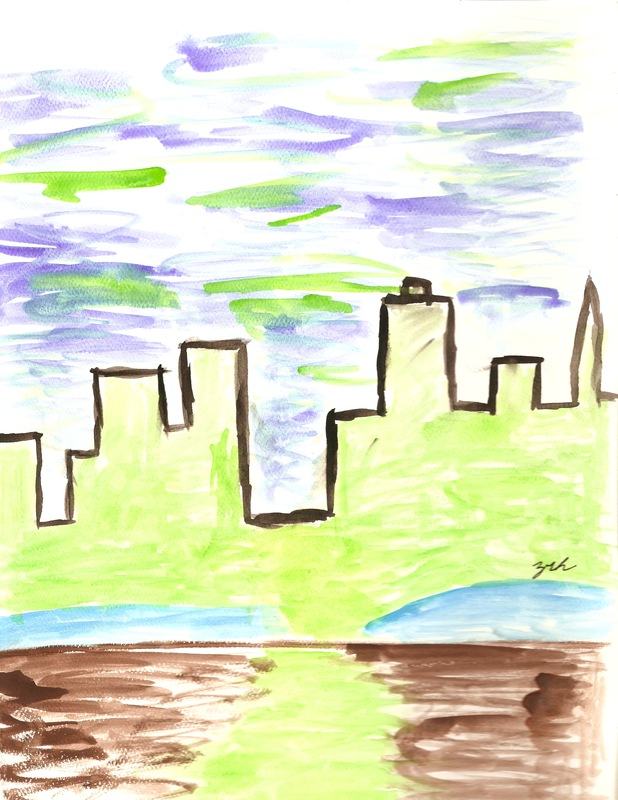 In 2012, CFCF released the beautiful and sophisticated work Exercises. It really hit at the heart of the life of a person in a year during each turning season and the feelings that one conveys. It was very piano driven and focused on Silver’s skills as a composer. Silver again creates something focused on his skills as a classical musician with this current album. The most interesting part of Music for Objects is how vast and wonderful each song can be simply named by everyday objects such as “Glass,” “Bowl,” and “Lamp.” One could come up words that are deeper and more sophisticated to describe each track, but Silver likes the listener to not focus on the song titles; rather, he wants them to focus on the feeling of the music. This album is more than just the music. It shows the complexity of everyday things that we take for granted. Silver sees objects and creates masterful Philip Glass-esque landscapes that invoke many feelings of desperation, optimism, and even sadness. 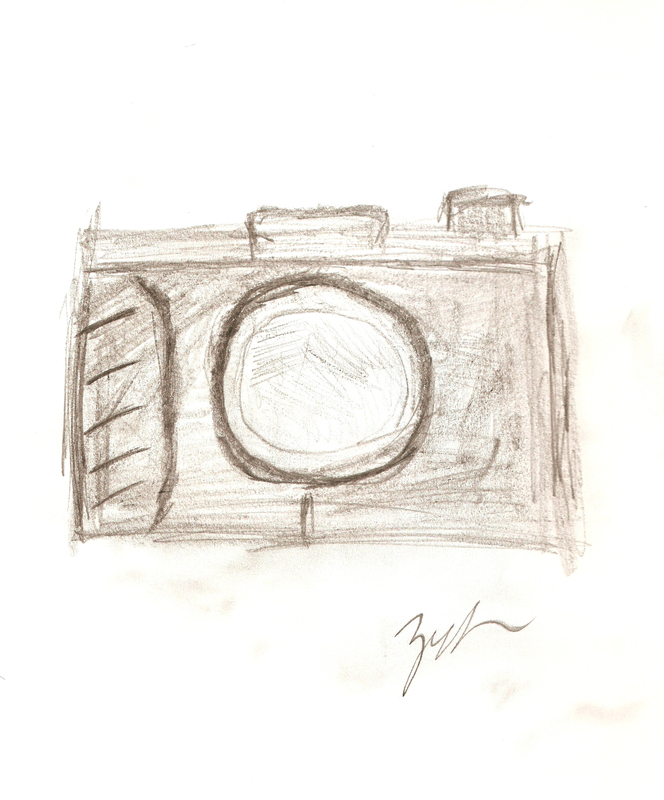 The track that is worth listening to is “Camera” – a true builder that starts off slow and becomes something so refreshing and uplifting. Check this album out if you are looking for something to meditate to or focus on the world around you. This is one of the best albums this year. The piano has always been my favorite instrument. I love the sounds it makes and the feelings that it can create. I would say most of the music I listen to is very piano driven; many artists I adore play it. That being said, I hope to one day play this magnificent instrument, as it has always been so fascinating to me. During my senior year of college, I took what would turn out to be my favorite class – Creative Writing. It challenged my imagination and helped keep my mind focused on things to write about. I had the pleasure of meeting Cecily Robertson in this particular class. I found her to be one of the most creative and entertaining writers. I couldn’t wait for class to start when we would be able to read our classmates works because she wrote some of the most fascinating reads. This piece “Fingers” is one of the coolest, darkest stories that Cecily wrote for our class. It really hit me, and I still to this day think about it. This truly hits the heart of any person who strives to love with passion so much it hurts. I hope you enjoy it and also, check out her blog Humor Her. I remember when I first started. Mother made me, and I couldn’t stand the damn thing. The sound was too loud for my ears. I couldn’t touch the ground, but I couldn’t reach the keys unless I sat on a cushion. I remember when Mary hid a Robin’s egg under it, hoping it would keep warm and hatch, and then I forgot and accidentally sat on it. Icried and cried for the poor bird, and Mary didn’t shed a tear. She just kept shaking her finger and yelling. Those strings and hammers were bad luck from the start. I dreaded going to Mr. Roeper’s house every Wednesday for lessons. Tuesday night Mother would ask how much practicing I had done, and I would say “none” because I always thought honesty was the best policy. Then I’d have to spend all night plunking away at the keys instead of watching my shows with Mary. I hated that piano. Always making me feel stupid. I wasn’t stupid. But every time Mr. Roeper said, “Ah, ah, ah, that’s a flat, not a sharp, Maggie,” I felt like breaking my fingers as an excuse not to come back. I guess all those years of lessons and missing my shows caught up to me, because one day it clicked. And then Mother and Mr. Roeper made me play at nursing homes, and then at recitals with teenagers who were actually decent, and then the piano started consuming my life. I didn’t know what to do after school. College wasn’t an option, so I signed on with my high school choir teacher and started accompanying our school choir for a stint. And when they made it to a statewide competition, my name made the concert program. Some man approached me at the competition and asked if I would play in his concert hall. I agreed, and then my name was showing up other places. I was giving plenty of recitals on my own, so I stopped playing with the choir. People thought I was talented. And then I was playing in front of real, big audiences with people who called themselves fans. I still can’t pinpoint how it happened. I guess it’s a good thing people like to talk so much. I’m just glad they were doing it with each other and not me. When people did coax something out of me they usually looked like they regretted it. Lack of social graces and all, my name went up in lights after one of my mother’s connections invited me to play at the Saenger Theater. And I loved it. Not so much the name in lights, but the piano. To tell the truth, I tried not to pay too much attention to my name, and I tried to pay even less attention to the audience. 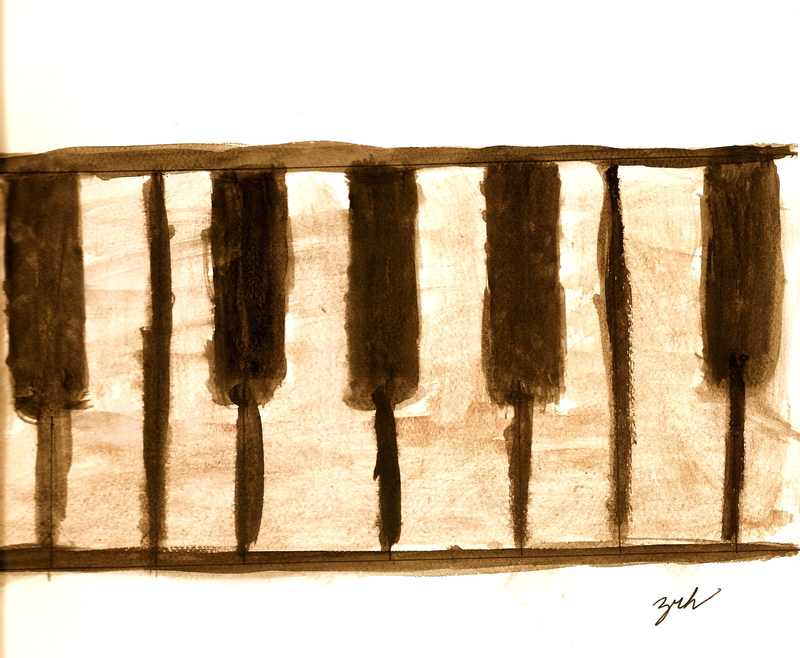 I just liked to walk in, sit down at the keys, and play without looking up. My hands were so fast I could hardly see them. I breathed in through my mouth and out through my fingers. Playing required no thought. It doesn’t now, either, but it takes my fingers longer to react than it does my brain to tell them where to go. Sometimes I feel like I’ve been sitting there for more than a minute, watching my fingers before they start to move. Old age is everything Mother said it would be. And now it hurts. I started taking Aleve, like Mother used to, and it still hurts. Maybe if I hadn’t played until my fingers cramped every Tuesday night. Maybe it wouldn’t hurt so much now. One less concert here, one less there, and maybe I would’ve been all right. Funny how a person changes. How a burden becomes a passion, and then a memory. There’s a piano in the home here, and every once in a while one of these fools will meander over to it and plunk out an old tune. They keep it tuned; I asked them. I played regularly when I first moved in, and people would come and sit and listen. Workers and geezers like me alike. But I’m too embarrassed to play now. Especially after I told them about my younger days and now they insist on introducing me as “the magnificent Maggie.” It comes so fast in my memory, but plays so slow on my hands. I guess I didn’t have to move here when I did, but Mother and Mary were gone, so coming here felt like a natural progression. I only would’ve been able to play a few more years before people started turning me away. And I certainly didn’t want to teach any bratty children; God bless Mr. Roeper. It wasn’t worth it. I knew from the beginning I wasn’t cut out for it. But Mother made me. I would’ve been happy working 9-5, making decent money and keeping my name to myself. I curse these fingers every day. I could forgive them when they slipped and broke Mother’s vase, forgive them for taking so long to feed me my pudding, forgive them for scaring the children who visit. But I will never forgive them for what they took from me. And I will fight them until the day I die. · First album in over 7 years. · The marketing plan for this album started with a random Record Store Day “12” that eventually sold on eBay for $5,700. · The duo streamed the album live in the desert a week before the actual release. The artwork for the new Boards of Canada is a a landscape for the new album… A gentle morning fog that consumes one’s mind. BOC has been known to make albums that, I feel, create a mellow and sophisticated atmosphere that is very unforgettable. It’s been seven years since The Campfire Headphase, and I believe they have created another masterpiece with their newest album. The album Music Has the Right To Children was the opening to this very futuristic and well developed electronic duo. Since then, I dwelled into their small but perfected catalog of music, making me yearn for more. BOC had a fantastic maketing plan this year, which made it possible for the public to get their hands on this magnificent record, Tomorrow’s Harvest. This album is a good mix of BOC and the eeriness of a John Carpenter score. It’s a record that you want to listen to during a long car ride with beautiful scenery, but with overcast skies. To me, this record was exactly what I was looking for – not too weird but enough to keep my mind creatively thinking about how BOC was able to achieve the strange and post-apocalyptic movie type sounds that I have always been so fond of them making. The song “Reach for the Dead” describes this type of music the duo has been creating for over a decade. This month was filled with some of the best electronic and rap albums. New Boards of Canada and Kanye West, just to mention a few, were on the top of my list. New comers like Disclosure, who put out a really impressive dance debut and J. Cole who kills it with his record Born Sinner (a contender for my favorite rap album this year) were all a part of my current list. Also included is an impressive first track by my homie Blake, giving you just a taste of his GhostGoth project! Enjoy the tunes.